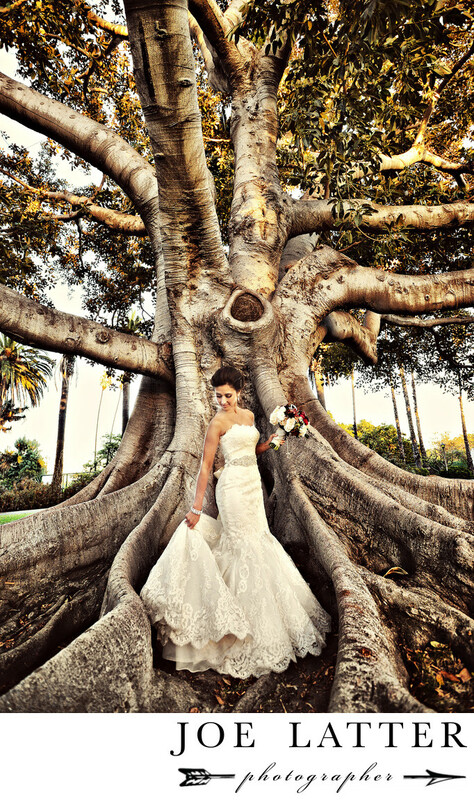 Best Wedding Photographer from Rancho Los Alamitos in Long Beach, California. I’m always so honored when I am asked to shoot the wedding of another photographer. Such is the case for Gary & Courtney’s wedding. After the ceremony we stopped by Rancho Los Alamitos in Long Beach, California for a few last second portraits before heading off to the reception. I’ve photographed this tree before but today it just seemed as if it was made to cradle Courtney and her beautiful wedding dress.